Moving a loved one into senior living can be an emotional experience, and everyone wants it to go as smoothly as possible. 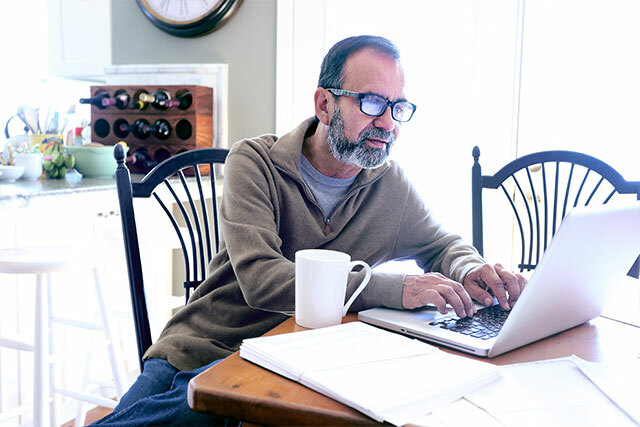 Yet some families aren't always prepared with Power of Attorney (POA) documents, which may be required when moving into a senior living community. So, before making the move into senior living, here's what you should know about POA responsibilities. In general, a POA is a legal document that authorizes a person (or organization) to represent or act on behalf of another in private or business affairs. However, there are different types of POAs and not all POAs grant the same privileges. Colleen, move-in coordinator at Miramont Pointe in Clackamas, Oregon, points out that POAs differ in every state. "A lot of states have a financial POA and an advance directive that covers medical," she says. "In Oregon, there’s a POA to cover both of those.” Other states may have a health care POA instead of an advance directive." A common error — especially if a family has to act quickly — is thinking that having access to a loved one’s bank account or having a financial POA is all they need. But that’s often not the case. “It’s easy for families to confuse the fact that if you’re on your loved one's bank account, you can do everything," Colleen says. "But there’s a big difference between writing a check and being able to sign financial or medical paperwork on behalf of someone." If you’re moving a loved one into senior living, you want to make sure that you have a POA or advance directive that lets you act as a health care representative. “It’s important to know the rules for your state and what paperwork is required,” she says. Even if you’re just starting to consider senior living, it’s not too early to start planning for future possibilities. Start by collecting legal and medication information. “Have a copy of everything your loved one has. Start a file of all their documents such as medical insurance card(s), driver’s license, social security card, and so on,” Colleen recommends. Keep these in a separate file for easy access when your loved one moves into senior living. Then, consider talking to an attorney who specializes in elder law. They can help draw up the necessary paperwork. Before creating new paperwork, it's important to know if your loved one already has someone in place because anything new that’s drawn up will override that. For example, if your loved one already has a durable POA but that person is not able to help with the current situation, then a new POA may need to be drawn up. Any community that is an assisted living or residential care community is legally required to assess the individual before moving in. This assessment is required to be in-person unless the prospective senior doesn’t live locally, in which case it can be done over the phone. During the assessment process, the community will need a consent form for release of medical records. That form will need to be signed by the senior themselves or a family member that has POA. To reserve an apartment, there will be a rental agreement to sign. This will also require the signature of the senior or their POA. Often this is a month-to-month contract, similar to renting an apartment. Just be sure you fully understand the agreement before you or your loved one signs it. Colleen points out how important it is to have proper consent or a legal representative among the family, so you know who can sign the rental agreement and who can make medical decisions once your loved one moves in. With that representation in place, you can avoid having to deal with legal matters if a medical emergency occurs. Then, the family can focus on the immediate needs of their loved one and make the move to senior living as smooth as possible.